Twin Northern California blazes fueled by dry vegetation and hot, windy weather grew Monday to become the second-largest wildfire in state history, becoming the norm as climate change makes the fire season longer and more severe. Mark Matthews reports. 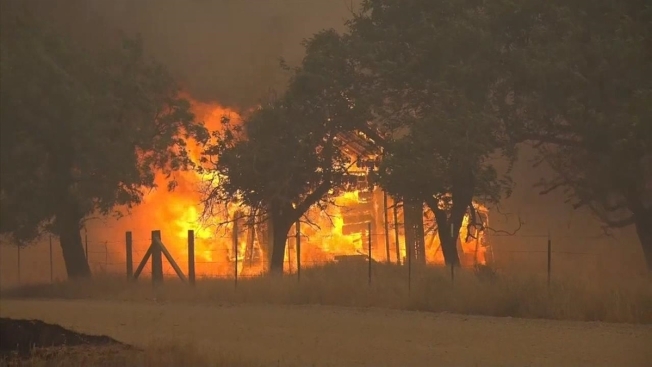 Twin Northern California blazes fueled by dry vegetation and hot, windy weather grew Monday to become the largest wildfire in state history, becoming the norm as climate change makes the fire season longer and more severe. The two fires burning a few miles apart and known as the Mendocino Complex are being treated as one incident. 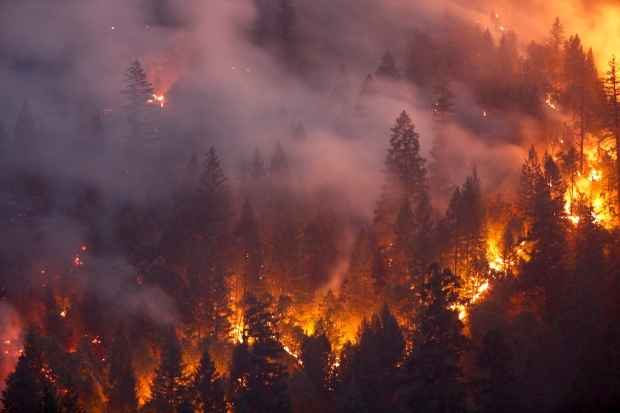 It has scorched 283,800 acres (443.4 square miles or 1,148.4 square kilometers), fire officials said Monday. The size of the fires surpasses a blaze last December in Southern California that burned 281,893 acres (440.5 square miles or 1,140.8 kilometers). It killed two people, including a firefighter, and destroyed more than 1,000 buildings before being fully contained on Jan. 12.